Apple aimed to impress with the iPhone 5S. To show the doubters that, yes, it could still innovate. To show people that the long-awaited new iPhones were not just some iterative update to what came before. Apple wanted to state, with authority, that its iPhone was the best damn smartphone ever built. It’s a lofty (if a bit trite) statement. It is also one that Apple came fairly close to making true. The iPhone 5S is an impressive feat of mobile computing, from the design in gold, silver and metallic grey to the 64-bit architecture inside. If it’s not the top smartphone on the market immediately upon its release, it puts itself squarely in the conversation. Make no mistake, the iPhone 5S is not an iterative update over the iPhone 5 (the iPhone 5C is exactly an iterative update of the iPhone 5, but we will get to that in a bit). The iPhone 5S is a blend of power and sophistication, design and functionality in a way that will make Apple fanboys line up at their local retail stores all over again. It’s impressive. That is not something I thought I would be saying when I woke up yesterday morning. The rumors heading into the announcement of the iPhone 5S and iPhone 5C weren’t really all that exciting. Better camera with dual flash? Sure, that’s expected. The A7 processor? Apple comes out with a new processor for the iPhone every year. It will eventually trickle down to other products like the iPad. A fingerprint sensor? Well, now that’s a new feature that none of Apple’s top competitors sport on their flagship smartphones. It may be a gimmick, but it is an interesting gimmick. Just like Siri was when it was announced. The M7 “motion coprocessor” that tracks your movement all day was distinctly not expected. An entire system within Apple existing hardware that does nothing but monitor aspects of your health? That is a feature that blends hardware and software to refine an aspect of the iPhone that had to this point only been served by third-party apps. Apple’s competitors perform similar functions too, as top Android smartphones like the Galaxy S4 and Moto X both have systems inside are sensitive to movement and health tracking. Apple is targeting the world with both the iPhone 5S and iPhone 5C. Each phone will support up to 13 4G LTE spectrum bands, meaning that each will work on just about any cellular carrier on Earth that employs 4G technology. If you take all of these updates individually, they are tangentially interesting. But when you put them all together, throw in the new functionality of iOS 7 and the gold/silver design of the body and put it into one cohesive unit and Apple has a flagship smartphone that it can be proud of. Apple has effectively mixed both creativity and innovation and came out with a top-notch smartphone. The 64-bit architecture of Apple’s new A7 processor took a lot of people by surprise. The ability to put 64-but architecture onto ARM-based chips is fairly new. ARMv8 that runs a dual 64-bit/32-bit architecture was announced in October 2011 and not expected to ship in quantity until 2014. So, Apple is jumping the gun a little bit here. The company also said that all apps built for 32-bit architecture (everything before iOS 7) will be compatible with the new system. Apple built iOS 7, the operating system that runs the iPhone, specifically with 64-bit in mind. 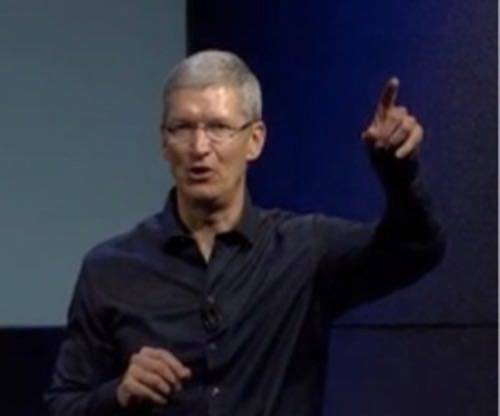 Looking back, there were a fair amount of signals along the way that Apple would make such a move. Sprite Kit, the new rendering engine that runs all of the gaming in iOS 7, was described as a way to create games in “2.5D.” The new parallax features and gestures in iOS 7 could be pulled off with 32-bit but would be much smoother with the new processor. For the immediate future, the 64-bit A7 System-on-a-Chip (SoC) is a non-starter. 64-bit takes a lot of RAM (typically, 3GB and up) to initialize. That type of RAM won’t be found in the iPhone 5S (it features 2GB) and even the top Android smartphones only approach 2GB. Most apps on iOS 7 will not see the benefit of the 64-bit architecture. What Apple did do with the 64-bit architecture is set a base that will be the starting point for future iPhone improvements and new types of apps and games to be built. Examples of what Apple did in iOS 7 to improve the experience on the iPhone 5S (and later, the iPad) abound. Yes, what most people will see with iOS 7 is the pretty new paint job (that matches the pretty new colors of the iPhone 5C and the muted gold and silver in the iPhone 5S), but Apple custom-built iOS 7 to be more powerful and accessible to everyday users. Now that we know it was targeted towards a much improved 64-bit architecture, that makes quite a bit of sense. Every new flagship smartphone to be announced this year has featured the camera as the most significant feature in the new device. BlackBerry started it off with its new BlackBerry 10 motion features, HTC followed up with the hullabaloo over “ultrapixels,” Samsung followed up with a 16-megapixel camera that sports a variety of “modes” like “Drama Shot” and motion-based editing. Nokia holds the title for best smartphone camera of the year (and probably next year too) with the 41-megapixel behemoth on the Lumia 1020 (mostly because it is a high quality digital camera that just so happens to have a smartphone attached to it). Apple 8-megapixel “iSight Camera with True Tone flash” will fit somewhere in the middle of all of these. Yes, the sensors are better and the pixels are bigger, but that is what all the other major smartphone manufacturers have been doing all year. Yes, Apple made a decent jump with its camera hardware and the camera app within iOS 7 has more features, but Apple is not running away from the field here. 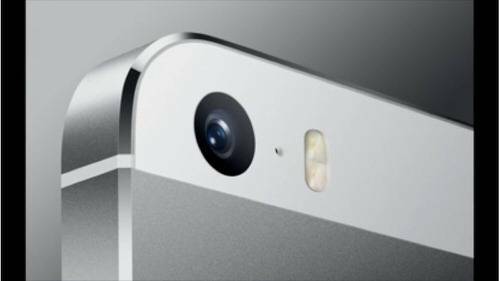 By this time next year, when the presumptive “iPhone 6” comes out, the camera tech on the iPhone 5S may look antiquated. Apple has validated, along with the other smartphone manufacturers, one very important aspect of smartphone cameras: it is not all about the megapixel. Having a better sensor, a better lens, capturing more light and having software that is optimized towards taking good pictures is better than having more megapixels. HTC, Motorola and Nokia all understand this. With the iPhone 5S, Apple does too. What do you get when you take an iPhone 5, change the body to plastic, add a pretty polycarbonate case and release it in a variety of colors? The general consensus ahead of the announcement of the iPhone 5C was that it would be Apple’s low-end device. That turned out to be wrong. It is Apple’s mid-tier device (with the iPhone 4S as the low-end offering). The iPhone 5 will be killed off. The reasoning for this is likely that Apple found the iPhone 5 to be too expensive to build and sell at the price point that it would have to sell at to be the mid-tier. Except for iOS 7, there is not a ton of new stuff in the iPhone 5C that are an upgrade over the iPhone 5. 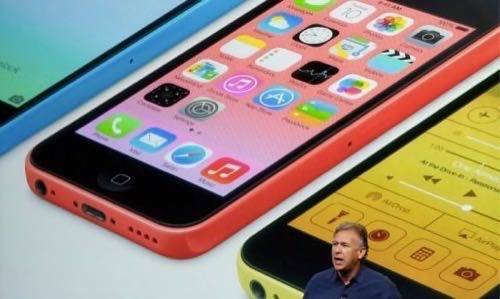 “iPhone 5c is everything iPhone 5 was and more, in an all-new design packed with great features,” said Apple’s senior vice president of marketing Phil Schiller. The iPhone 5C will be targeted to the rest of the world in a major way. But it still might be too expensive at $549 for 16 GB, $649 for 32 GB off-contract. Apple is competing in markets like China and India with Android smartphones that sell for fractions of those prices and offer similar capabilities. A little new varnish on the iPhone 5 and decrease in quality of production materials may not help Apple in its quest to unseat Android as the globally dominant mobile operating system.